Add a bit of country style to your home, while still keeping everything sophisticated and elegant, with the Gardendale Entertainment Center. Buy TODAY, and Gallery Furniture will deliver TODAY! This entertainment center can fit a 64-inch widescreen television easily, while providing ample space for books, Blu-Rays, and decor. Take advantage of seventeen open slots and two closed cabinets to keep your entertainment area organized in style. This entertainment center was proudly made in America. Seventeen open slots provide ample room for you to store both small and large equipment. A weathered grey finish enhances the traditional styling. 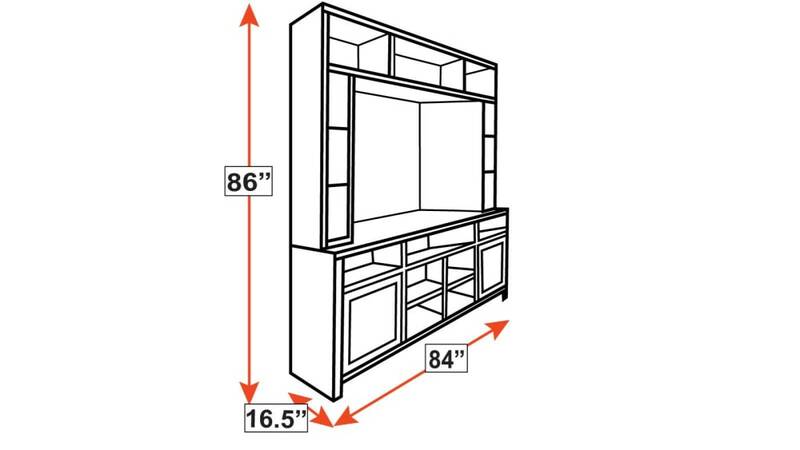 Made right here in America, this entertainment center was built to exacting standards. Your living room will instantly be improved, thanks to the quality and style. You've found the perfect addition to your space. Why wait any longer? 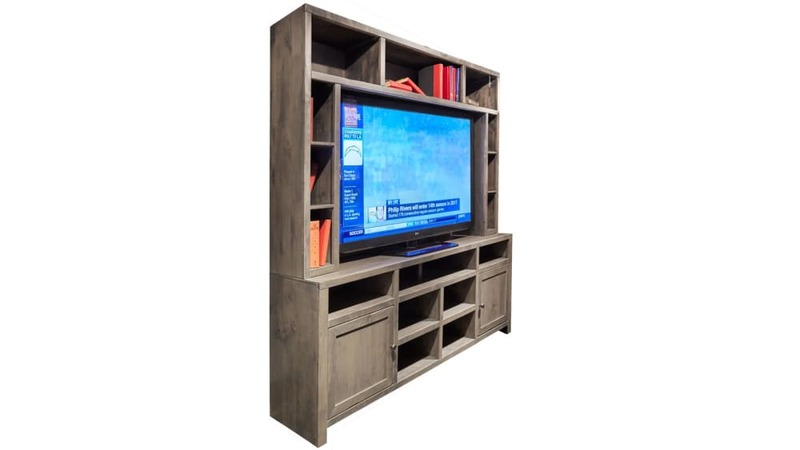 If you buy now, Gallery Furniture can have this entertainment center delivered to your home TODAY.